If college and professional basketball were caught in a Matrix, Brandon Jennings would be an anomaly. He is the glitch in the system. He’s the worm virus that everyone needs to pay attention to because the impact could cause a complete overhaul of the system. A year ago, Jennings was considered the best high school player in the country out of Oak Hill Academy (Va.) with his sights set on Tucson, Ariz., to play for the University of Arizona and follow the road taken by past standout Wildcat point guards such as Steve Kerr, Damon Stoudamire, Mike Bibby, Jason Terry and Gilbert Arenas. But when Jennings did not meet the academic requirements, the Compton, Calif., native was knocked off the fast lane to stardom and was faced with a very difficult decision. Because Jennings was too young to enter the NBA draft, he needed to take a different route, a path that landed him 7,000 miles away from home. He decided to play professionally in Europe, becoming the first high-profile high school player to make this move. 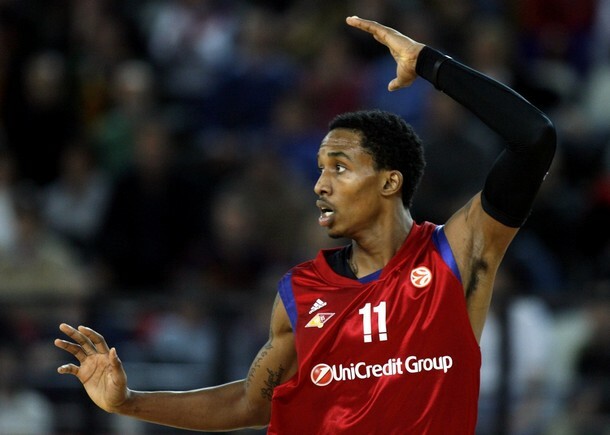 Instead of living in a college dorm, Jennings is now making a living in Rome as a member of Italy’s Lottomatica Virtus Roma. Instead of attending 8 a.m. classes, he works out with his pro team for three hours in the morning and repeats the process later in the afternoon. Instead of battling Tyreke Evans and Greg Monroe for freshman of the year honors, he’s battling Ibrahim Jaaber, Rueben Douglas and Sani Becirovic for playing time. And instead of preparing to play against top-seeded Louisville in the Sweet 16 with the 12th-seeded Arizona Wildcats, Jennings is preparing to play in Serie A against Carife Ferrara this Sunday. During an interview with HBO’s Real Sports, the 19-year-old basketball pioneer revealed to Bryant Gumbel that the transition from high school star to Euroleague rookie has not been easy. Though Jennings is making the best of the situation, he is clearly homesick and is counting the days when he returns to the States. Despite being thousands of miles away from his basketball dream and the ups-and-downs of his European experience, Jennings has not wavered on his decision to spurn the books in favor of booking a flight to Italy and getting a head start on his pro career. It’s a calculated risk that Jennings is willing to roll with, hoping that his name would be synonymous with Curt Flood and not Maurice Clarett. “It’s the best decision I’ve made so far,” said Jennings, who credits Sonny Vaccaro for authoring the idea of having high school players play overseas for a year. Vaccaro, a former high-powered shoe executive turned Father Flanagan, firmly believes that high school players should be afforded an option. So, when Jennings reached out to him, Vaccaro agreed to advise him and helped negotiate a deal with Virtus Roma. Jennings ended up signing a three-year professional contract that pays him $1.2 million a year, complete with a three-bedroom apartment, a car and tuition for his younger brother. There is a clause in the contract that will allow Jennings to apply for the NBA draft once he fulfills his one-year obligation with the team. Hey – I found your website by mistake. I was searching in Google for Registry software that I had already bought when I came upon your site, I have to say your site is really informative, I just love the theme, its amazing!. I don’t have the time today to fully read your site but I bookmarked it and also signed up for your RSS feeds. I will be back around in a day or two. Thanks again for a nice site. Thank you for another informative blog. Where else may just I get that kind of info written in such a perfect way? I’ve a project that I am just now operating on, and I’ve been on the look out for such info.